A fashion retail (women's shoes) franchise opportunity from Singapore and available for franchising worldwide. Since 2001, Pazzion has been designing and producing footwear for the confident and discerning woman who sets the trend with good taste. From the design to the material used - calf leather and lambskin, each stitch whispers understated quality and caresses feet with comfort. The modern woman wil be pleased to find the full range of elegant shoes that are perfect for work or casual. Choose from the wide range of classic pumps for formal boardroom meetings. Pick a strappy heel to complete one’s outfit. Or dress to kill in stilettos. 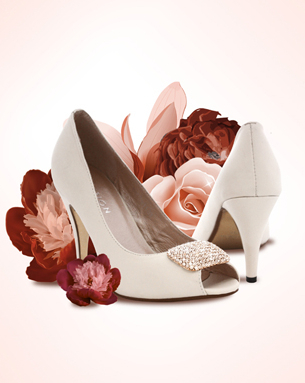 Whatever the occasion, Pazzion has the shoes to complete a modern modern woman’s wardrobe. Being a modern woman is fun! You can have your cake and eat it. You can have a life, a career, a family. You can be who you want. You can live for yourself. Because attention to detail is a cornerstone of the Pazzion brand, footwear are designed to marry sophisticated tastes with fashion trends. Each collection mirrors the latest fashion trends, ensuring the modern woman keeps fashionably dressed every season at affordable prices. Unit Size: 750 sq. ft.